Do Follower Numbers Really Matter? Many social media users and marketers find it essential to increase their total number of followers. The first advantage is appeal since most people will more likely be lured into following accounts online if these have a huge following. The large numbers generally show that there is good content to look forward to and worth expecting every now and then. However, marketers should be aware of the bigger importance of the quality of their audience. Relevant followers are the one that lead to huge sales. 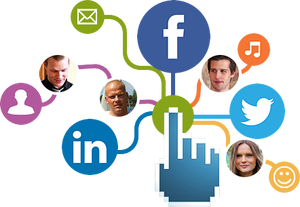 When marketing various products in social media networks, people are more likely to avail of products only after they determine that you are a reputable and reliable marketer or seller. The initial objective is to establish a good reputation online by creating a catchy account and filling in the vital details about yourself and your company. Indicate the objectives and background of the company and include a logo or photo. Frequently update your status and post or tweet about both casual and business-related topics to increase interest. You can also use a number of features on social media platforms like hashtags. These will be helpful in bringing in the right kind of audience who will most likely be interested in your products and actually lead to increased sales and income. Hashtags are conversations that discuss particular topics so you can meet people who have knowledge or are very interested to purchase related items. Discussions will also delve on specifics depending on the hashtag created. Think of a specific and attractive hashtag name to draw more followers. Twitter recently updated many of its advertising products. The new hashtag retargeting feature involves a type of behavioral advertising approach using cookie technology. Cookies are left in various websites visited by online users. These can be used by social media marketers to determine the particular needs and interests of the target market. For example, people who are shopping for shoes will be visiting a variety of websites featuring and selling shoes. Cookies are left in each of these sites. When marketers gain access to the information, they should focus their campaign to targeted individuals who are interested to their line of business or products. You can save time and effort by aiming for consumers who will actually purchase instead of randomly targeting visitors. Social media marketers can use the hashtag retargeting feature to mention and find key and relevant users who are useful to their campaign. These individuals can retweet or spread the message and posts from companies to other relevant users. You can significantly expand your network and increase your potential for bringing in more followers and huge amounts of income for the company by targeting the right people. Twitter at the same time maintains the privacy and protection of its users by planning to scramble email addresses of users to ensure that users stay anonymous and their activities are left discreet. One of the main goals in using hashtag retargeting is to successfully convert Twitter followers into loyal customers. When the data acquired from check-ins, favorites and hashtags are processed, marketers can filter and categorize users accordingly and focus their advertising efforts to the right consumers.